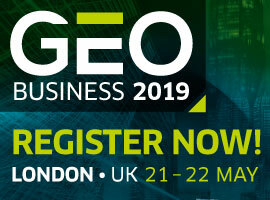 When GEO Business opens its doors next month from 21-22 May at London’s Business Design Centre, delegates from across the world are in for a treat. With over 200 FREE to attend content rich and cutting edge seminar and workshop sessions, it is no surprise that registrations are currently 70% up on last year’s figures indicating that this industry event, is one not to be missed. 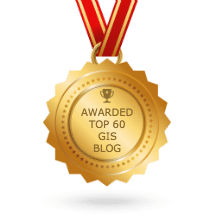 If you have never had the pleasure of attending the industry’s number one geospatial event in the UK you should know that GEO Business is about the technology that underpins many 21st century networks and systems, from 5g phones, construction, utilities to heritage and marine – all rely on up-to-date geospatial data and technologies. The event’s seminar programme will focus on all these areas and many more together with the technologies that capture, process and - critically - use the data. Sectors like Highways, Architecture, Engineering, Construction, Utilities, Asset Management as well as environments like marine and coastal. There is also a growing list of new applications like disaster relief, heritage, locating sanitation in the developing world and commercial retail developments. All of these sectors now benefit from technologies like laser scanners, airborne LiDAR, imagery, GPS, GPR (ground penetrating radar) and terrestrial measurement sensors such as total stations. They rely on software for control, processing and transmission of data through field management as well as office based systems. This year’s free to attend seminar programme has a focus on speakers who rely on strong evidence-based ideas. 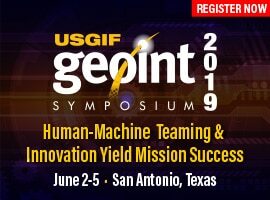 Sessions include non-traditional uses of geospatial data where delegates will learn about ground-based 360° mobile imaging, UAVs and crowd sourced mapping for disaster assessment. A presentation will describe the development of a synthetic dataset to enable those engaged with police and related agencies to learn what police data contains through its complexity across multiple silos, and the problems faced with free text entries, data errors and deliberate misinformation from the criminal community, including alias names. Visitors will learn about the latest developments in visualisation through virtual and assisted reality applications using technology like Microsoft’s Hololens. Linked to 3D mapping, visualisation apps are at the intersection of geography and creativity, providing new insights across industries from construction, architecture, buried utilities to leisure. As we move deeper into the age of Big Data and the Internet of Things (IoT) sensors are collecting more data than ever before. Satellites can now detect tiny movements on earth that can herald land slips and other factors for risk analysis. Much of the data analysis can now be automated but the role of the professional remains critical in monitoring, interpreting and setting up systems. 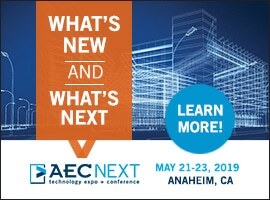 This will be another fertile area for delegates to update their knowledge and learn about new applications. Geographical Information Systems (GIS) are at the heart of the drive to create Smart Cities. High quality sub-surface data using 3D mapping technology will be at the centre of one application. © Copyright 2019 by CMedia and cannot be reproduced, in whole or in part, without prior authorization from CMedia.